Is that a slight nip in the air I feel…? Wishful thinking for the first week of Fall, at least down South. 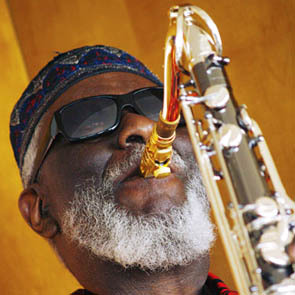 So we have a “cool” conversation with jazz saxophone luminary Pharaoh Sanders—the man John Coltrane called “My right arm.” Plus, a birthday tribute to Gershwin.